The Institute has 175 acres land. The built up area is 22,320.00 Sq.m. At present the institute has adequate building accommodation to house all the academic programmes offered at the campus. The Institute has created state-of-the-art infrastructure in terms of class-rooms, furniture, teaching aids, laboratories, equipments, library, etc. 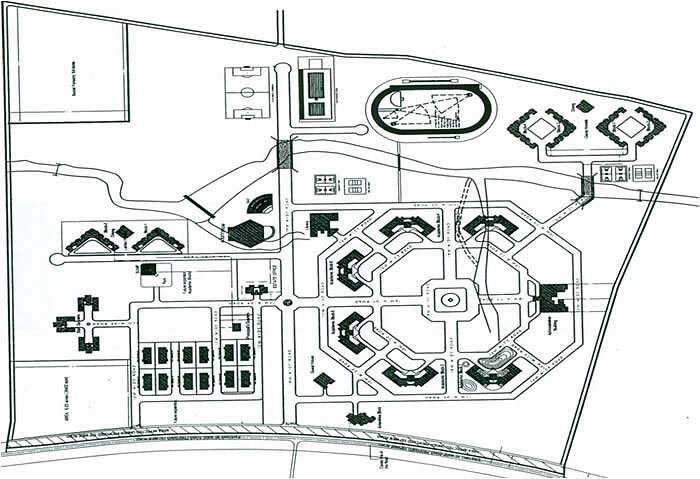 The various infrastructural facilities available in the institute include 10 teaching departments, 02 hostels for boys, 2 hostels for girls, central library, 5 departmental libraries, an administrative block, health centre, cafeteria, own water works, RO systems for providing potable water, a Bank and sports grounds. 800 computers and 9 servers. Internet facility through 20Mbps leased line (BSNL). Campus Wide Network with wifi connectivity including hostels. Equipment required for UG & PG Laboratories are made available. Well connected wide roads to all the academic blocks, administrative building and hostels.